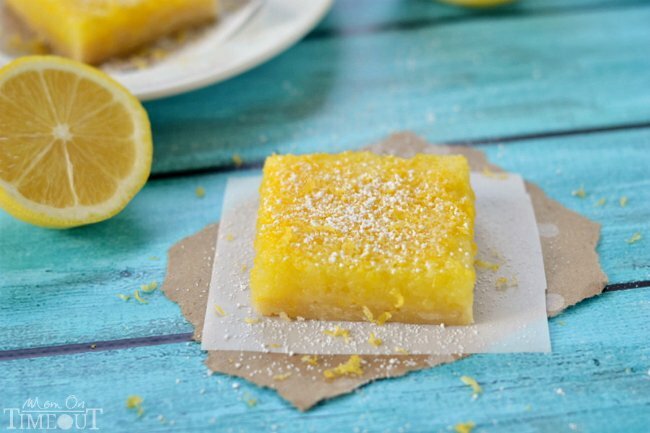 Enjoy these Amazing Microwave Lemon Bars all summer long without turning on your oven! Perfectly sweet with loads of tart lemon flavor, you won’t ever make traditional lemon bars again! Lemon bars are quintessential summer fare. The bright, fresh flavor in each sweet, perfectly tart bite is pure summer bliss. What isn’t so blissful is blasting my oven and heating up the house so I can enjoy the fabulous flavors of lemon bars. That’s right – the microwave. I think I proved that good things can happen in the microwave when I shared my microwave lemon curd recipe. So trust me on this. 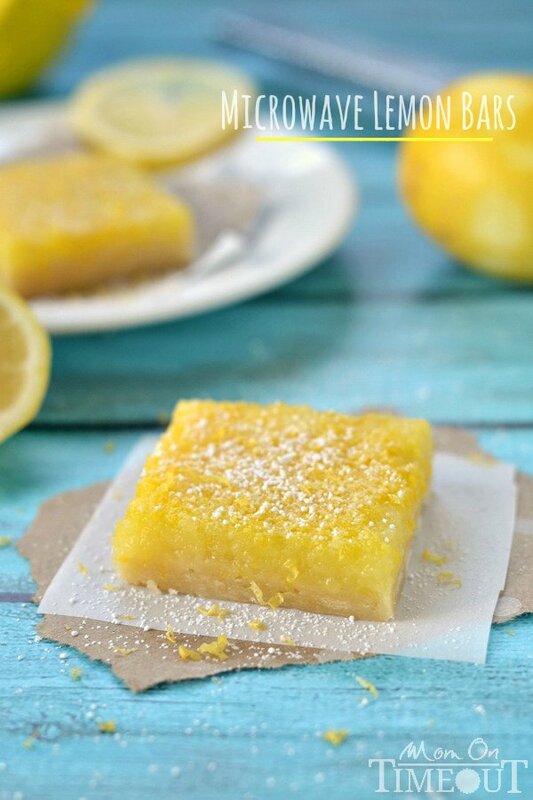 These lemon bars will blow your mind. The crust is perfectly sweet and wonderfully buttery. Not too much though. (I’m not much of a crust girl and I find this crust absolutely tantalizing!) 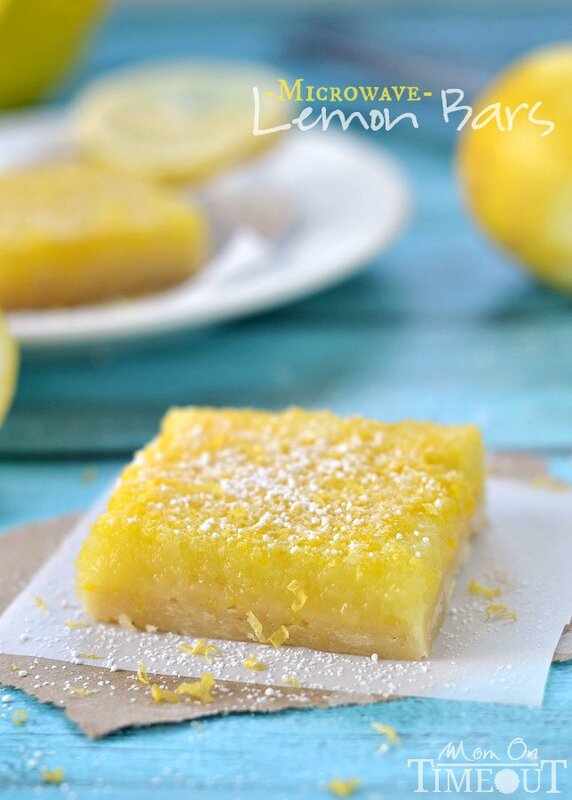 The filling is zesty and tart and just a little bit sweet – exactly how I like my lemon bars. 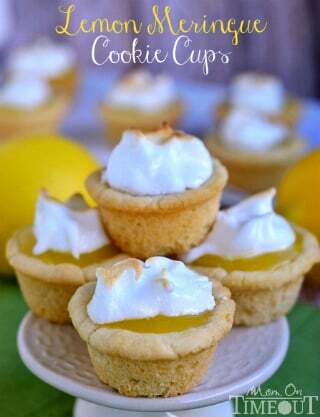 While that extensive baking process in occurring, it’s time to mix up that lemon filling. The filling gets poured onto the dish and then another three to four minutes in the microwave and you’re done! Let the bars chill in the fridge and then cut those babies up and delight in the fact that you spent less than 10 minutes total preparing the most awesome dessert of your summer. 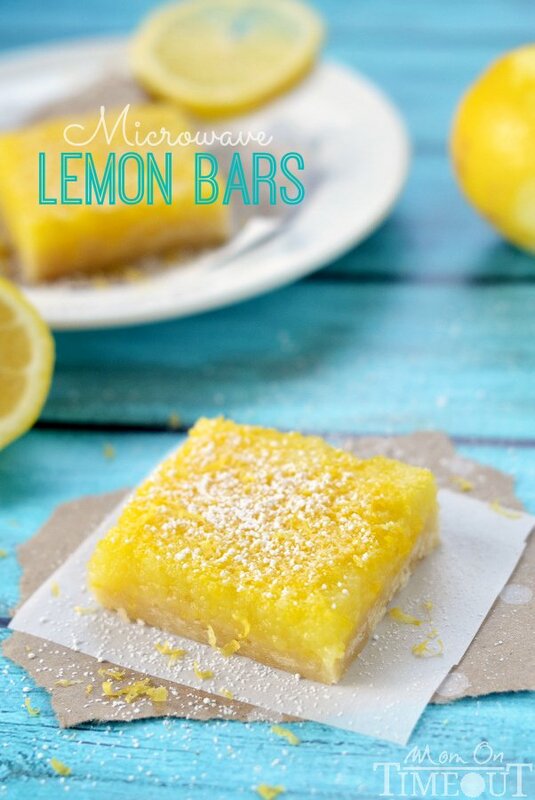 Microwave Lemons Bars are perfectly sweet with loads of tart lemon flavor! Lightly grease a 9x9 inch microwave-safe baking dish OR line with parchment paper. Whisk flour, sugar and lemon zest together. Press crust into prepared dish. Microwave for three minutes at 80% power. Check to make sure the crust is firm. If not, heat for an additional 30 seconds at 80% power. Beat sugar, lemon zest, eggs, and lemon juice together. Beat in flour, baking powder and salt and continue beating for 2-3 minutes. Pour the filling over the crust and microwave for three minutes at 80% power. Check the filling. 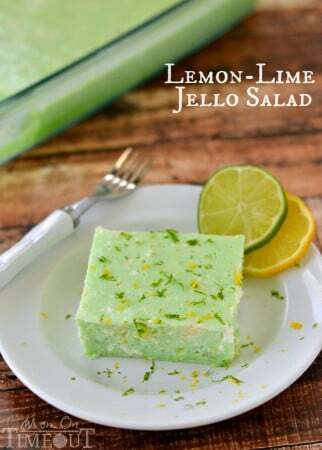 It should be set with just a little jiggle - much like JELLO. If it hasn't set, microwave for an additional minute at 80% power and check again. Let the lemon squares cool completely and then refrigerate for several hours or overnight. Cut into squares, dust with powdered sugar and sprinkle additional lemon zest on if desired. Woah! These are sooooo good! I must admit I was a little skeptical at first, seeing as how they are cooked only using a microwave, since I had tried to make lemon bars before using the oven and they came out undercooked. However, these came out cooked through (the crust was even a little burnt, actually) and they tasted great! 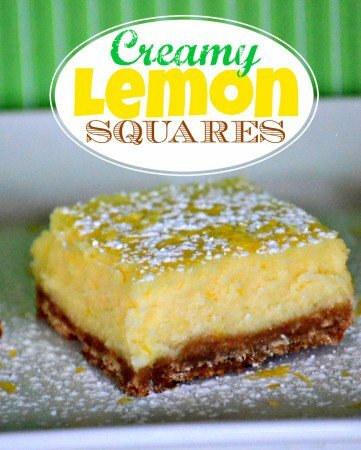 Much easier to make then some traditional lemon bar recipes. Thank you for this wonderful dessert! So glad you gave them a try Juliette! I think it’s such a great alternative to summer baking 🙂 Thanks for stopping by! Thanks so much for sharing this recipe! I was looking for microwave dishes because it’s been so hot in my kitchen this summer and I couldn’t stand to turn on the stove. This was a huge hit with my family 🙂 I hope you don’t mind, I’ve modified it to be gluten free, and just shared it on my blog with a link back to your original one here. Hello from Germany! Found your recipe on pinterest and decided to make it for a group of friends. I use the microwave for almost everything possible, but I have one problem here – “80% power”. My mike is over 1000 watts, yours might well be different. Could you try and work out what 80% power is in watts, please nice please. 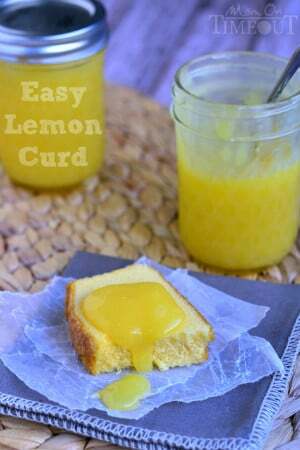 Your recipe for microwaved lemon curd is slightly different from my usual one, will have to try that one too, and other recipes one by one. The microwave saves so much time and electricity and cleaning up, I love it. Mine is 1100 Watts so I would stick to the 80% power, or drop to 70% if you’d like. Hope you enjoy the bars! I am a middle schooler who was looking for a fast lemon bar recipe for an Iron Chef competition. Thank you so much! You are a genius! If I want to switch the microwave to an oven, how would u suggest I bake these magnificent yellow squares? Thank you so much Maggie! I do too 🙂 They are one of my very favorite treats. 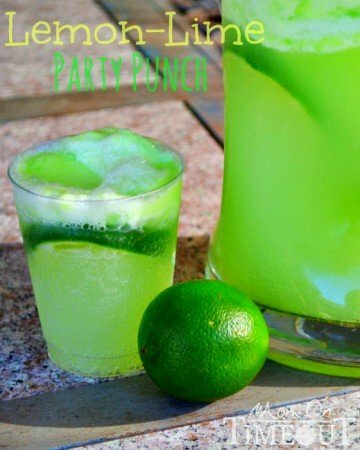 Just wanted to let you know that this recipe will be featured at The Pin Junkie Pin Party this Thursday! These look amazing Trish and using the microwave is simply genius. Pinned your recipe to our Yummy board.